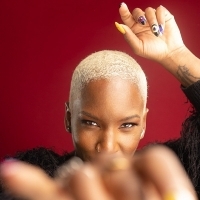 "Liv Warfield packs a punch. A large-lunged, gnarly, vocal punch reminiscent of Etta James, Tina Turner and Nina Simone. Liv has been singing, touring and blazing stages with Prince for the last few years. It's honed her sound which Liv describes as 'alternative R&B Soul with a little bit of Rock 'n' Roll'. Prince has become one of her greatest celebrity supporters. She credits him as an ultimate music mentor who has taught her how to be great on stage and in the studio; a gift she took back with her to Portland where she recorded her album, The Unexpected, with Prince as executive producer."